Thursday Moda #6 continues with Cold Shoulders. 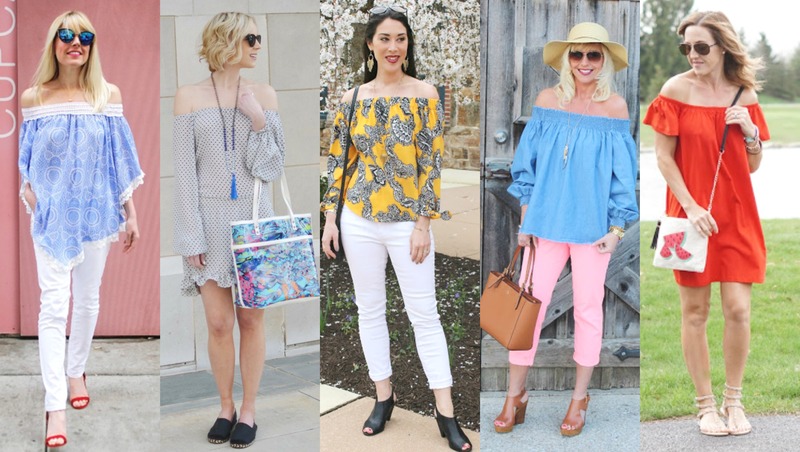 Since last Spring/Summer a trend starting emerging in fashion: the cold-shoulder trend. Whether it was off-the-shoulder tops and dresses or cut-out shoulder tops and dresses, this trend came strongly into the fashion scene and it is even stronger this year in 2016. I actually do own a couple of floral off-the-shoulder blouses and a cold-shoulder sweater (in the outfit below) but all of those have been packed away in Albania. A few years ago I bought a cut-out black shoulder top and an off-shoulder black one with gold pinstripes (both from Express) but I think I have gotten rid of them since then. I never wore them that much and to tell you the truth I thought they were a trend I wouldn't see for a while. But boy was I wrong. The cold shoulder is back and better than ever. This time around, the tops are more loose, flowy and billowy and the dresses are easy, relaxed and Springy in babydoll or swing styles. And this reminded me of this outfit which I have blogged a year and a half ago. And since today is Friday and I failed to take photos with my new cold shoulder top (more on that, a little bit below) I decided to do a Flashback Friday post, but I will also show you two ways I plan on styling my new top. This bright orange sweater by Bebe has gold-tone chain straps over the shoulder. Between the silky knit, the bright color and the chain straps, it makes for a fun and very unique sweater. This ensemble was worn on October 2014 for a date night and to this day this is one of my most favorite outfits. While the outfit is modern and on-trend, the big bows on the lace peep-toe heels and the magazine cover clutch add some fun and cool retro vibes to the entire look. To top it off, I was having a great hair day and my makeup looks really nice. Bright Orange Tunic Sweater w/ Cut-out Shoulder detail & Gold Chain Straps: Bebe. Black+White, Geometric-Print, Skinny Pants: Divided by H&M. Circle Pink Crystal Stud Earrings: White House Black Market. Retro-inspired, Magazine Cover, Lucite Clutch w/ Buckle Strap: A Local Accessories Boutique. Black Satin & Floral Lace, Bow, Open-toe Pumps: Payless. Shop for a similar outfit below. Like I mentioned, I just bought a new cold-shoulder top. It actually looks very similar to my sweater from this post. Both are in a bright orange and to tell you the truth when I purchased it at JC Penney's last weekend I didn't think about that. This top came in an orange watercolor small floral print but that was sold out in my size. Actually I checked so many stores for a pretty off-shoulder or cold-shoulder top (or two) but everything was either sold out completely, ran out of my size or was priced at $50 or more and I didn't want to spend that. Target, JC Penney, Loft, The Limited had all run out of these stylish blouses. I still need to check out Express and I know White House Black Market carries similar off-shoulder blouses each season, usually in a fun little floral print. I am craving some tops, a dress and a romper in this huge cold-shoulder trend badly, as you also saw on my Shopbop Spring Wishlist yesterday. I would love to own a denim one, a white one, a black one and a floral top and also at least a cute dress. For now, I am sharing the new top I got from JC Penney and two ways I am dying to style it this Spring and Summer. I totally planned on wearing the outfit with the adorable skater skirt but between me being busy and our weather being very cold (it rained and snowed yesterday) and there is frost today as I also shared on my Instagram earlier this morning., there was no way I could take OOTD photos without freezing my but off. But here are two ways I plan on wearing my new pretty blouse. I am featuring all new lovely pieces I have recently added to my wardrobe. Which one of the two looks below is your favorite? 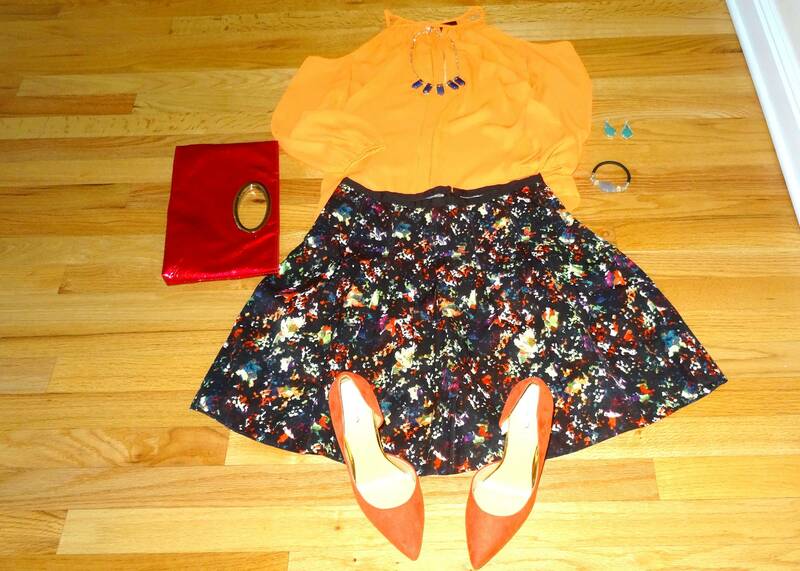 Look #1: Dressy, Girly and Bright. Neon Orange, 3/4 Sleeve Silky Cut-Out Shoulder Blouse: Worthington via JC Penney (New) (similar, Splurge), (similar, Great Deal, love this), (similar, Steal). Black Watercolor "Confetti" Skater Skirt: Gap (New) (identical), (as a dress, on sale, love this), (similar, Splurge), (similar, Steal). Gold Tone Statement Necklace w/ Geometric-Shaped Blue Stones: Loft (New) (similar, Splurge), (similar, Great Deal, love these), (similar, Steal). "Alex" Amazonite Earrings (in Bright Green): Kendra Scott, borrowed via Rocksbox (New) (identical), (similar, Great Deal, love these), (similar, Steal). Bright Coral Faux Suede D'orsay Pumps: Merona via Target (New) (identical, Steal), (similar, Splurge, love these), (similar, Great Deal). Bright Red Patent Leather Clutch: Express (similar, Splurge), (similar, Great Deal), (similar, Steal). Look #2: Semi-Casual and Nautical. Navy+Blush Striped "Riviera" Shorts: Loft (New) (identical, on sale), (similar, Splurge), (similar by Loft, Great Deal, love these). Long Cord Necklace w/ Red, Clear & Marble Big Stones: Loft (New) (identical, Great Deal), (similar, Splurge), (similar w/ red tassel, Steal, love this). Gold Tone small Drop Earrings w/ Coral Circle Stones: A Boutique in Albania (similar, small Splurge, love these), (similar, Great Deal), (similar, Steal, love these). Gray+Ivory Chevron Clutch w/ Sequins, Faux Shearling trim & Long Tassle on the side: Target (New) (similar, Splurge, love this), (mini option, small Splurge), (colorful option, Steal, love this). Shop more JC Penney Cold-Shoulder Tops here. I am eyeing this paisley one, this white one, this crochet one in royal blue, this pink ombre one, this black floral one and this lace-sleeve one in black. There are seriously so many beautiful options. I hope to find some of these tops at my local JC Penney. I will probably buy a couple. Don't they all look beautiful and ready for Spring? From left to right: Johanna, Amy Ann, Tamara, Andrea and Katey. I just love those flowy blue tops Johanna and Andrea are wearing and Katey's Neon Bright Dress. I loved that all the ladies paired their tops with light pants which makes them perfect for Spring and Summer. Tamara and Andrea even wore similar peep-toe booties. When I add some off-shoulder tops and dresses to my closet, I have these ladies to be inspired by so thank you. Have a Great Weekend Everyone! My closet purging and organizing continues today. Wish me luck! Jaymie, Jennie, Joules, Lauren, Liz, Melissa with Sheree + Rachel, Molly with Carly, Patti, Rachel, Tara, Vicki, Whitney and The Wardrobe Stylist. 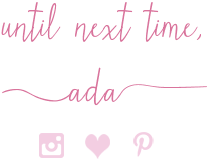 Also linking up with the ladies of The Blended Blog. Their theme this week was "Spring Sweater". This Orange Cold-Shoulder Sweater is Spring personified. Also, since I threw you off with the linkup this week, below I inserted the Linkup widget for your convenience. This has been a week of linkups after all (Tuesday through Friday). 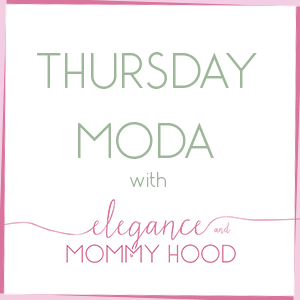 "Thursday Moda" linkup will be back on its regular time next Thursday April 14th.